Watching out for a reverse mortgage scam should be on the top of the list for anyone considering such a loan, but it’s especially concerning to adult children who are looking out for their aging parents. 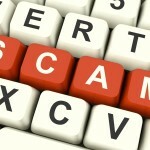 There are some fairly simple guidelines to abide by in order to steer clear of such fraud. This is one of the of the sure tell signs something could be fishy. Reverse mortgage lenders are held to a standard of marketing by the Consumer Financial Protection Bureau (CFPB) that other mortgage lenders are not. 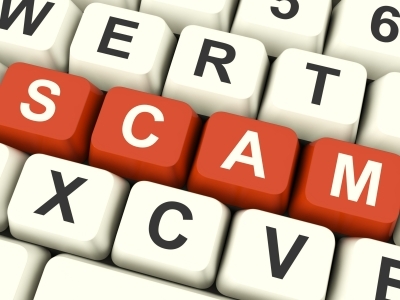 Watch out for reverse mortgage lenders who solicit through means such as television, door-to-door, churches or other community centers, direct mailers, or other extensive advertisements. If you are beginning the process with a reverse mortgage lender it is not uncommon for them to ask for an appraisal deposit of around $300, but if they are requiring an amount much in excess of this prior to your required reverse mortgage counseling and the official closing of the loan, this is definitely a scam. With a reverse mortgage very little money is required to get started. Although reverse mortgages can be a solution to foreclosure in some situations, reputable lenders will not solicit to homeowners in distress. Foreclosure scams have run rampant as the housing market has been rocky, but senior homeowners are often easy targets to such scams. When working with a reverse mortgage lender, it’s important that you feel comfortable and confident in your decisions. If you feel you are being pressured or that your questions are not being addressed, it may be time to question whether or not you want to continue working with this lender. A credible lender will have a network of professional associates, such as the Better Business Bureau, the National Reverse Mortgage Lenders Association, and the FDIC. If a lender is lacking these networks, it should be cause for question and concern. Although there are certainly disturbing scams that exist in the reverse mortgage industry, there are also many reputable lenders who are there to work through the process with you, answer all of your questions, and make sure you are making the right decisions for you and your family.